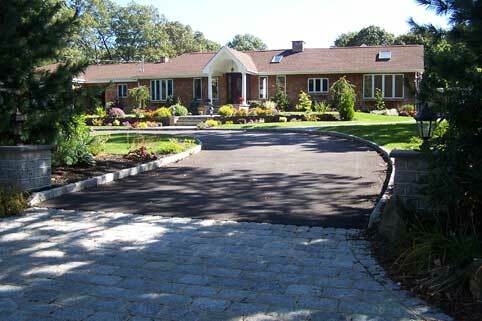 We are located in the heart of Long Island, New York, USA. I was raised on Long Island, where my family owned a horse farm. It was a kids dream just to grow up around horses and learn how to care and work with this gorgeous, big, beautiful animal.. 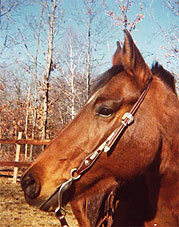 I learned to ride English and began showing horses when I was 8 yrs. old. I later learned Western and loved to Barrel Race and ride Gymkana. Quarter Horses & Arabians are my love. 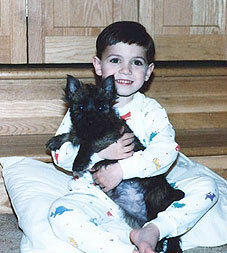 I have always been an animal lover and have always dreamed of working with animals. Since 1979, I have had the luxury of doing just that. With the support of my loving husband, Gary, who stood behind me when making the decision to leave the rat-race, work-world I became a stay at home mom to my dogs and horses and 1 goat. Soon thereafter, in 1986, we started our own family and Kyle was born. (And breeders thought their lives changed when having a litter of puppies?) In 1988, Myles was born and our family was complete and ever so busy. 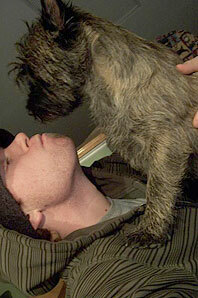 I continued to love and raise and show my dogs both in conformation and obedience. I have had the pleasure to own, breed and show Labrador Retrievers, Rottweilers and Cairn Terriers which is my only breed now for the cairn is everything I love in a dog !! 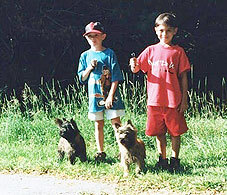 My first cairn terrier came into our home in 1990. 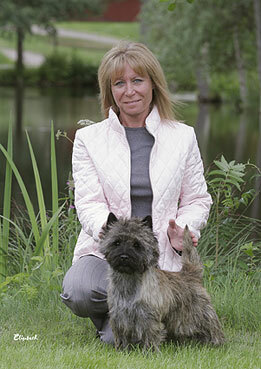 The cairn is a wonderful pal to raise around children and I couldn’t have picked a better breed to grow with our family. Soccer, baseball, lacrosse and even basketball practices and games, a cairn’s bags are always packed and ready to GO…yes, they shared all that with us too. Our cairns are a big part of our family life and we enjoy their company as they enjoy ours. They are most comical when playing with their toys and letting you know the rules “All the toys are mine, the broken ones are yours”. And then there are the tears of joy, when you look into their eyes and you swear there is someone in that little body, maybe, someone you once knew and loved so dear that passed on, maybe, to come back into your life again, in that little pal of yours.